Six years after the January 2011 revolution, the need for a return to its demands and slogans have never seemed more urgent. AA ABACA/PA Images. All rights reserved.November 2016 saw the Egyptian government implement a series of unprecedented neoliberal reforms. The Egyptian pound was devalued and lost 50 percent of its value in dollar terms, fuel subsidies were radically reduced and a new three year IMF loan agreement was signed all marking a new “shock therapy” approach to the long term stagnation of the Egyptian economy. This article explores the historical and political context of these reforms and their possible repercussions. One of the central demands of the January 2011 revolution in Egypt was social justice. Although the demand itself was vague and all encompassing, it expressed a powerful push for a redistribution of wealth in Egypt. The January revolution was preceded and followed by massive strike waves demanding higher wages, price controls, better job security, and a whole set of similar demands in the areas of education, health, public transport, unemployment benefits, minimum wages, etc. this was not an exclusively political democratic revolution, but a political revolution with a social soul. When one looks at the revolution in the context of these demands and movements, it becomes clear that this was not an exclusively political democratic revolution, but also a social revolution, or if you like a political revolution with a social soul. It was not only freedom but equality and dignity that people were demanding. In fact, it was the neoliberal reforms of the last decade of the Mubarak regime that were to spark the longest and largest strike wave in the country’s history starting in 2007. That and the context of the Great Recession in the world economy in 2008, were major triggers of the revolution of 2011. The pace of these reforms was accelerated with the appointment of Mubarak’s last government, that of Prime Minister Ahmed Nazif in 2004. In the following four years an unprecedented wave of privatization affected all vital sectors of the economy including telecommunications and banking. As Adam Hanieh notes “buyers were generally international firms, Gulf based conglomerates, or large domestic capital - often acting in joint partnership”1. This rapid and extensive process of privatization was coupled with deep cuts in benefits and subsidies for the poor. So on the one hand, large numbers of public sector workers were loosing their jobs due to privatization, and on the other hand, there was a rapid decline in living standards. Although plans to liberalize the economy and a market led export promotion model were put forward in the 1970s, they only started being implemented in the 1990s. The attempts of the Sadat regime to impose an IMF plan of austerity in 1977 led the the largest strikes and mass demonstrations in the country’s history. The army was deployed to crush the revolt and Sadat cancelled the austerity measures. Although confrontations only lasted two days, hundreds were killed and all liberalization programs were put on hold. The next two decades saw a very cautious and slow process of economic neoliberal reform, with increasing repression, mounting government debts, sporadic but limited outbreaks of strikes and other social movements. It was only the last of Mubarak’s governments that began implementing far reaching neoliberal policies. These policies aimed, through privatization and market reforms to encourage foreign direct investment, radically increase and diversify exports and hence increase both private and public investment in fixed capital transforming Egypt in the process. In reality, the reforms carried out were to increase poverty and unemployment, concentrate wealth as never before in modern Egyptian history. The conditions for workers and the poor took an added hit with the price instability and general economic turbulence caused by world recession, as global prices rose sharply in 2007 and early 2008, and as exports, flows of remittances and foreign direct investment all declined. A neoliberal policy carried out by a corrupt state, run by military and police generals, led to an unprecedented concentration of wealth and power in which the boundaries between the state and capital, generals and billionaires, became blurred. The same policy led to a sharp rise in unemployment and poverty. There was no significant transformation in the performance of the Egyptian economy, no “tiger on the Nile” as Boutros Ghali, the then finance minister and engineer of the neoliberal reforms had promised. Thus a major feature of Mubarak’s last decade was a rapid process of what David Harvey has called “accumulation by dispossession”2 as the final remnants of the Nasserist era social provisions were dismantled and as capital was concentrated in the hands of an alliance of state and security officials, army generals, local capitalists, Gulf Sheikhs and multinational corporations. The cumulative effect of the neoliberal onslaught was that the number of Egyptians living on or below two dollars a day – the international poverty line – more than doubled, from 20 to 44 percent. This neoliberal onslaught is being renewed as we enter the third year of General Sisi’s presidency. What started as a political counter revolution in 2013, is now showing its own social soul. December 2016 saw the steepest increase in inflation in the last 12 years. In effect, the combined result of devaluation and cuts in subsidies, with no significant increase in wages, has meant a decline of up to 50 percent in real wages. The logic of the reforms is as always to try to reach the holy grail of increased foreign investment, tourism and export promotion. The reality is that the long term structural problems in Egyptian capitalism, perhaps most clearly noticeable in the lack of investment in fixed capital, particularly when compared with other “emerging economies”, coupled with real and perceived political instability and terrorist attacks, will continue to hamper foreign direct investment and tourism, even with prices becoming more competitive through devaluation. Thus foreign banks and investors will buy Egyptian government debt (the Egyptian government has just secured four billion dollars worth of bond sales), will make short term investments in the Egyptian stock market and financial sector, but will shy away from significant long term direct investments. Perhaps nothing reflects the comparative weakness of Egyptian capitalism more than its inability to increase manufacturing exports, the main motor force behind the transformation of several third world economies into significant centres of capital accumulation. Even in an industry which many would assume Egypt to have a comparative advantage, like the textile and garment industry, the actual results show the extent of failure. By the early twenty first century, Egypt had lost its export markets in the US and Europe to more efficient producers. Not only to the obvious Chinese industrial giant but also to Turkey, Mexico, Bangladesh, Vietnam and many others. Whereas, for example, Turkey has nine and four percent of the European and US textile export markets respectively, the percentages for Egypt are 0.5 and 0.8 percent. The current reforms of the Sisi regime aim above all to make the poor pay for the crisis. What is considered by some a bold attempt by General Sisi to jump start the economy and create the conditions for rapid growth and massive investments in fixed capital, will simply not materialize. The growing role of the Egyptian army in the economy is not just a reflection of the political power of Egypt’s generals, it also reflects the serious shortages in foreign and local private investments. The billions of dollars required, not only to solve Egypt’s energy crisis, but to modernize its railway network, to expand and develop its air and seaports, its transport junctions, and above all its educational and health infrastructure, are far beyond what can be acquired through IMF loans or Gulf state hand outs. Shock therapy neoliberalism did not save the Mubarak regime; it is unlikely to save the Sisi regime. The ruling alliance of billionaires and generals that failed to transform the Egyptian economy during the Mubarak era, will fail again under Sisi. The IMF loan agreements have never ended well in Egypt. In the 1960s, even Nasser’s so called socialist government borrowed from the IMF and devalued the Egyptian pound, still ending in bankruptcy and having to cancel the second five year plan3. Sadat signed an agreement in the 1970s that had to be scrapped as millions took to the streets in January 1977. 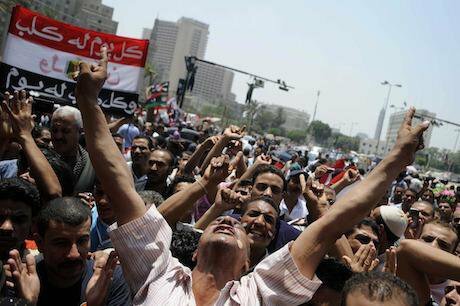 Mubarak’s neoliberal reforms, also with loans and backing from the IMF ended with the 2011 revolution. The current reforms of the Sisi regime aim above all to make the poor pay for the crisis through savagely cutting their real wages and using state terror to prevent them striking or demonstrating. Only a radical distribution of wealth, in the opposite direction to the current Sisi-IMF policies and a democratic state representing the majority of Egypt’s population, and not a handful of monopoly capitalists and generals, can solve Egypt’s endemic economic woes. 1 Adam Hanieh, Lineages of Revolt: Issues of Contemporary Capitalism in the Middle East, Haymarket, 2013. 2 David Harvey, A Brief History of Neoliberalism, Oxford University Press, 2005. 3 Waterbury, J. (1983), The Egypt of Nasser and Sadat: the political economy of two regimes, Princeton University Press, Princeton.